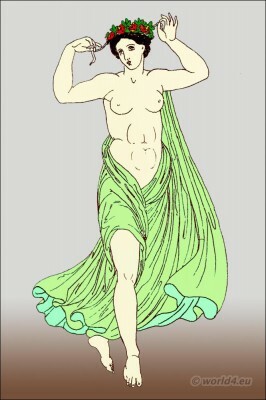 Ancient Greek Female dancer with himation only. Greek Female dancer with himation only, called, when thus worn, achiton, i.e. without chiton.Ancient Greek Costume History.